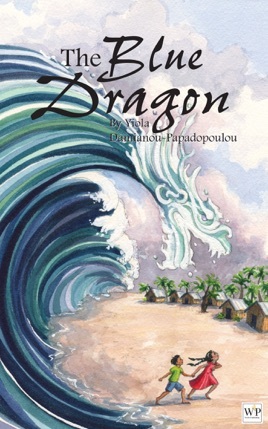 The Blue Dragon by Yiola Damianou-Papadopoulou starts on a typical day in Sri Lanka: the fisherman leave for their daily trip; little children play together along the shoreline; while a party of other children is preparing to depart on a school excursion. However, without warning, something resembling a huge mythical beast emerges from the depths of the ocean, its enormous hands spread high into the sky, and its huge ferocious mouth open wide, engulfing everything in its path. Nothing is spared. The Blue Dragon describes the terror of the catastrophic tsunami that hit Sri Lanka in December 2004. The novel focuses on a group of children - Hanseni, and her siblings Awade and Manori, and their friend Nishian - their individual experiences, and how they managed to pull through this horrendous event. Overcoming their fears the children struggle against the forces of nature, fighting against the odds to save themselves and their friends. Their stories portray courage and hope, and demonstrate the inner strength and determination that exists in the human spirit when faced when an unforgiving natural disaster. This emotive and heartfelt story shows how even, in the most horrifying of circumstances, the will to live triumphs.